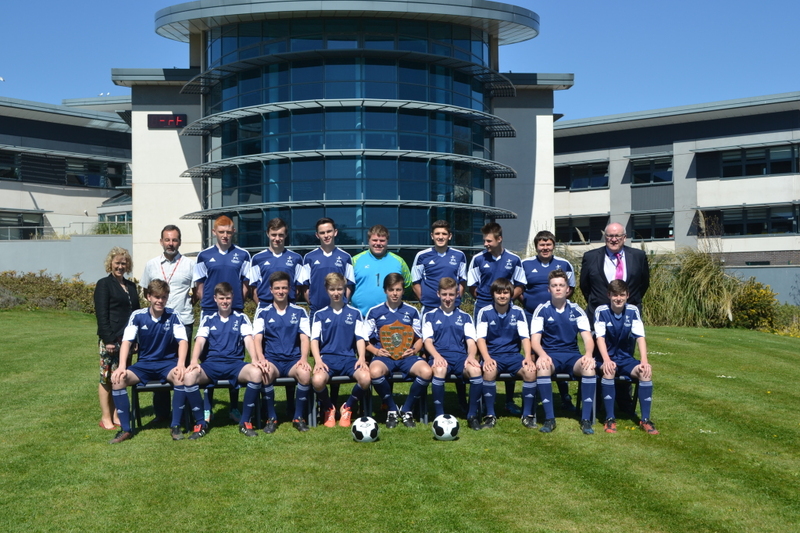 Last Thursday the 6th form football team travelled to Liverton United FC for the final of the Devon Cup against Ivybridge Community College. Both teams started brightly, exchanging possession with the odd chance, but none of which were easy or were taken. Then after 18 minutes Ivybridge took the lead after they punished some hesitation in the TA defence. This obviously gave Ivybridge some real confidence and they started to take control of the game dominating possession and creating numerous chances. Unfortunately the pressure eventually told and they took a 2-0 lead through a well worked corner routine. TA tried hard to get back into the game before half time creating the odd chance but without success. TA came out for the second half really fired up. They dominated the early exchanges, winning every tackle and header. It was clear to see that the team really wanted to win this game. After 53 minutes TA found a way back into the game when a well worked move started and finished with Nathan Hebbes slotting the ball home under the keeper to make it 2-1. With TA pushing on they were vulnerable to the counter attack and Ivybridge caught them out ten minutes later and took a 3-1 lead. TA responded well moving the ball around the pitch making Ivybridge work to regain possession. Then a well worked move saw Nathan Hebbes break clear of the Ivybridge defence but just outside the box he was tripped by an Ivybridge defender. The Ivybridge player was sent off. TA thought they had a penalty but the linesman said that the tackle took place outside the box. The resulting free kick was the chance for TA to get right back in the game. Unfortunately the free kick was unsuccessful. However there really was a spirit and togetherness amongst the TA players as they knew they could get back into this game. Then in the 61st minute Nathan Hebbes produced a goal of unbelievable class by beating at least five men before shooting the ball into the roof of the net. With the score at 3-2, Ivybridge could not get out of their half with TA moving the ball from side to side. Liam Artz then latched onto a through ball and was baring down on goal when he was tripped. Liam brushed himself off and prepared to take the free kick; he made what can only be described as the perfect contact with the ball, whipping the ball up and over the wall into the goal – what a goal! Liam had now scored in every game TA had played this year which is a remarkable achievement. With twenty minutes to go TA were pushing for the win and Ivybridge were doing everything they could to stop them. Then a long ball pumped forward by TA was met by an Ivybridge defender just outside their box but the contact was poor and the ball looked like it was going to go out for a corner. Alex Constantinou thought he could latch on to the ball and the Ivybridge goalkeeper tried to prevent the corner. The goalkeeper got there just before Alex, however his pressure told and the goalkeeper dropped the ball. Alex rounded him then rolled his foot over the ball to beat a recovering defender to shoot into the empty net. It was 4-3 to TA. Parents, friends and family were ecstatic. With five minutes to go, TA broke and a well worked move resulted in Owen Stockton finding the ball at his feet on the angle twelve yards out; he bent the ball round the goalkeeper into the corner to give TA a 5-3 lead. Ivybridge pushed on again but there was no way TA were going to let them back into the game and after a long clearance down the pitch the referee blew the full time whistle. What a result! TA were Devon Champions at their first attempt! A fantastic achievement. The performance and attitude was superb from start to finish and a real credit to the school. Mr Hogg and Mr Grinsill would like to thank all those who travelled to the game to support the boys. It made a real difference and meant a great deal to the boys. Our wonderful teachers leave nothing to chance when it comes to the success of our Year 11 students. All teachers have been offering Period sessions throughout the year alongside weekend and holiday sessions. This week saw the start of our evening school. Running from Monday to Thursday from 4-8pm teachers have been putting on extra sessions in Statistics, English Literature, History and Science. I would like to that our staff for their dedication and our students who are taking advantage of the opportunities presented to them. 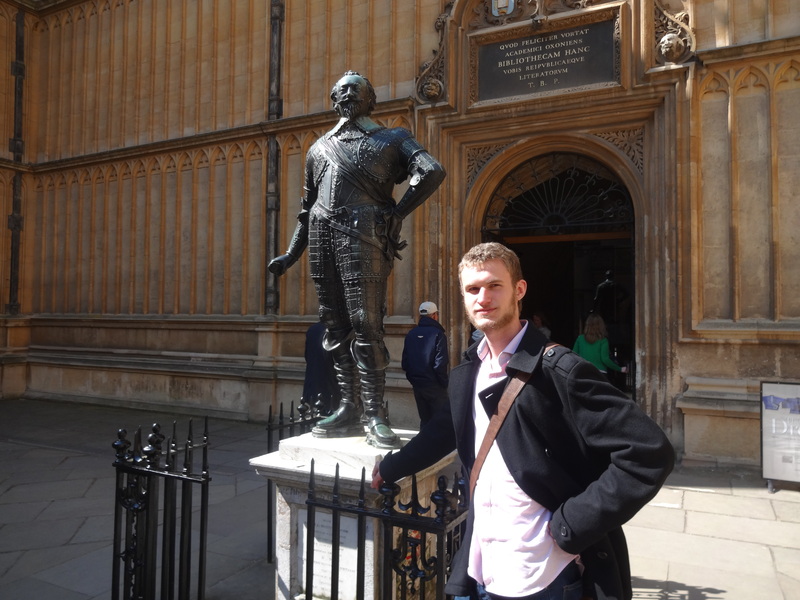 Year 13 Creative Writing student, Jeremiah Ovenden, travelled to Oxford this week to attend a prize giving ceremony at Christchurch College. 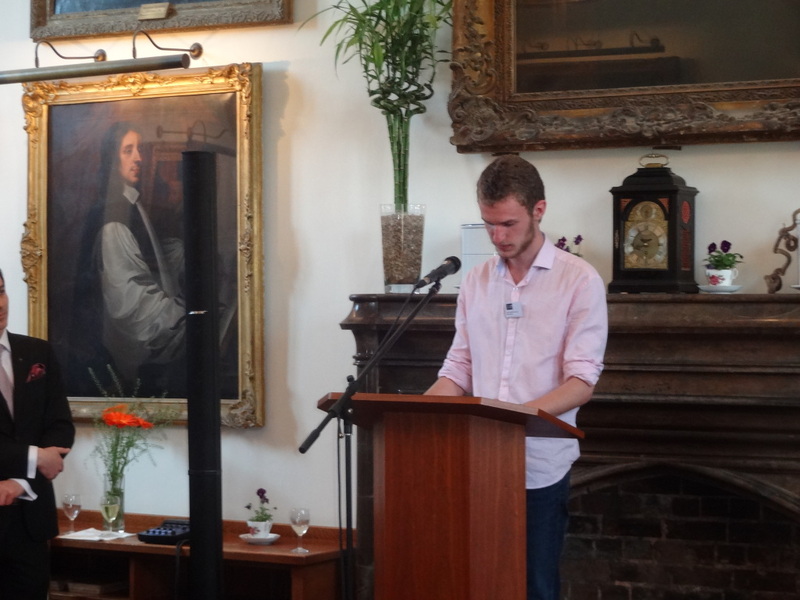 Jeremiah’s poem, ‘The Building Blocks of Life’, was just one of six shortlisted from nearly 800 entries for the Christopher Tower Poetry Prize. The prize celebrates the cream of young British poets and is the most prestigious of its kind, with many students shortlisted in the past going on to establish careers as published poets. Jeremiah’s poem was commended by the panel of three internationally acclaimed poets and he happily received a prize of £250 from the Dean of Christchurch . Very well done Jerry! Wrapped in red wrapping paper. From her armchair to our sofa. They damage, then multiply again. In her wrapping paper smile. 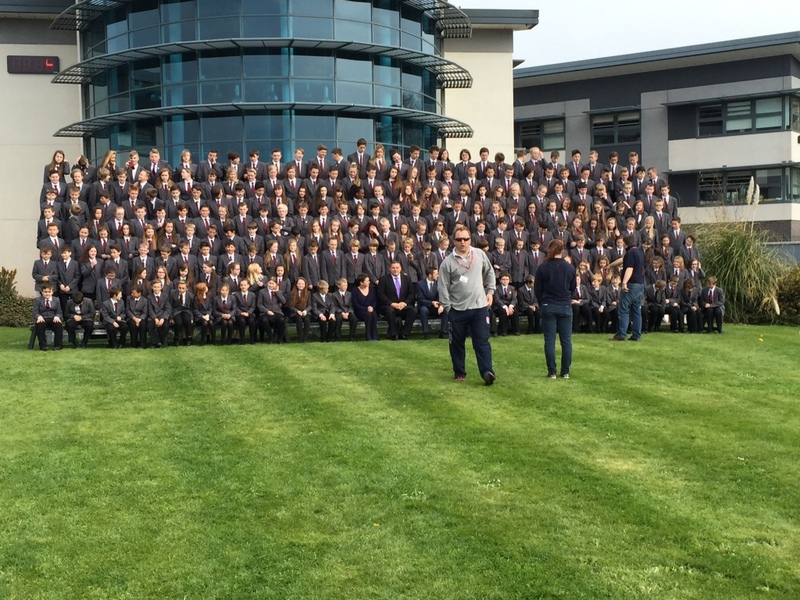 We gathered our Year 7 and 11 students to take a whole year group photo. I have just seen a copy of the pictures that were taken and I am delighted with them. They show our wonderfully smart students at the start of their school journey and just before they move onto the 6th Form. Beth Rook, who dances 6 days a week, at both Castle School of Dance and Totnes School of Dance, spent her Easter break competing in the Torbay and South West of England Festival of Dance, held at Paignton Theatre. Throughout the two week festival, dancers from across the country came to display their skills in various genres including Ballet, Tap, Modern, Lyrical, Greek, Contemporary and Song and Dance. They were competing in age groups throughout the weeks and for a place in the championships at the end of the festival in Ballet, Modern and this year for the first time Song and Dance. Beth won a place in the Senior Championships for her Ballet and ended up overall second in the competition. Well Done Beth !! We introduced a new form competition last term. It is based upon attendance, praise points and behaviour. Each week forms are awarded points in each of the categories. At the end of the term, the form with the most points wins a mufti day. The winning forms for the last half term were 7RJR, 8HR, 9JG, 10ST and 11PJ. Congratulations to our winning forms. 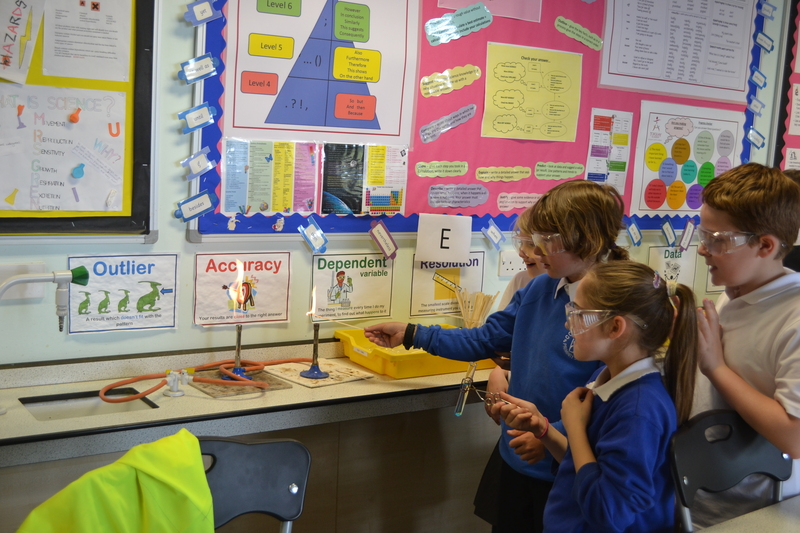 Cockington Year 5’s visited us for an afternoon of Science and Literacy. 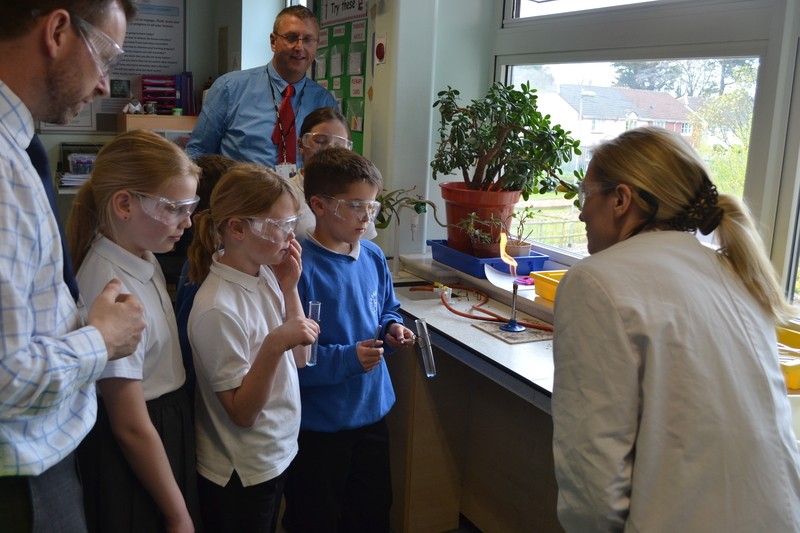 The pupils performed some experiments in one of our science labs and embarked on an all new information hunt in the library. This is the second time this group has joined us this year and once again they were an absolute delight to have in the academy. 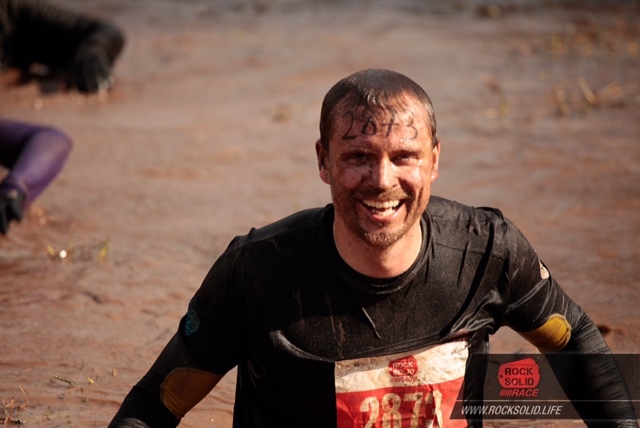 English teacher Mr Miller took part in the Rock Solid Race last month. Together with his fiancee, they raised £400 for their chosen charity, Umunandi, which supports a community school in Zambia. It is a fantastic sum of money that might seem rather modest to us but will make a huge difference there. We welcomed twenty life-sized resin glass fibre models which will be transformed into works of art by schoolchildren and become part of a trail around Torbay. Teachers and pupils have been busy picking their alpacas up, and squeezing them into cars and minibuses to continue their journey to their pupils. There are another 15 alpacas being delivered to Paignton and Brixham schools. Each alpaca will be designed and painted by pupils, as well as being given an identity. The official opening of the trail will be at Occombe Farm on July 20. On Wednesday the Sixth Form students and staff had the pleasure of hosting a visit from Robin Causley our link Governor. Robin arrived bright and early and after a brief chat with Gareth Harries, Assistant Principal, he visited our sixth form tutor groups with Gareth and Jane Thomas, Head of Sixth Form, to observe the typical start to a sixth form student’s day. Gareth and Jane then entrusted Robin into the capable hands of our Head Boy, Dominic Rowe, and Head Girl, Paige Grimes, who hosted a guided tour of the school. Robin took this opportunity to chat to both students about their new roles and gauge their opinions on a number of student issues. A chat with Kathy Ball, Sixth Form administrator and Linda Edwards, Sixth Form support advisor, was next on his agenda. Kathy and Linda are instrumental in the smooth running of the Sixth Form and they have considerable insight into all aspects of our daily routines. 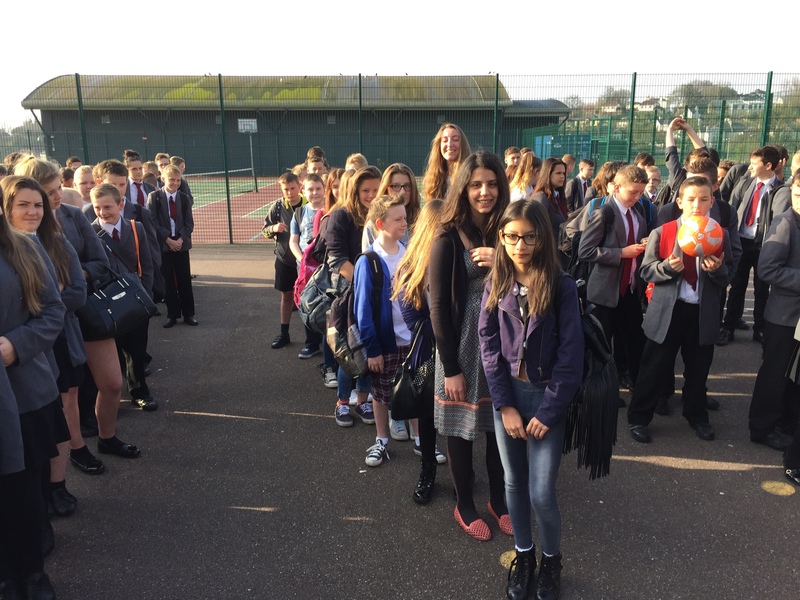 An informal gathering with a number of vocational students followed before Robin, accompanied by Deputy Head boy, Matt Haddon, and Deputy Head girl, Correy Law, sampled a number of sixth form lessons. There was of course the obligatory photo opportunity (luckily it was sunny) before the Sixth Form staff and Robin continued their discussions over a roast lunch in the school canteen. 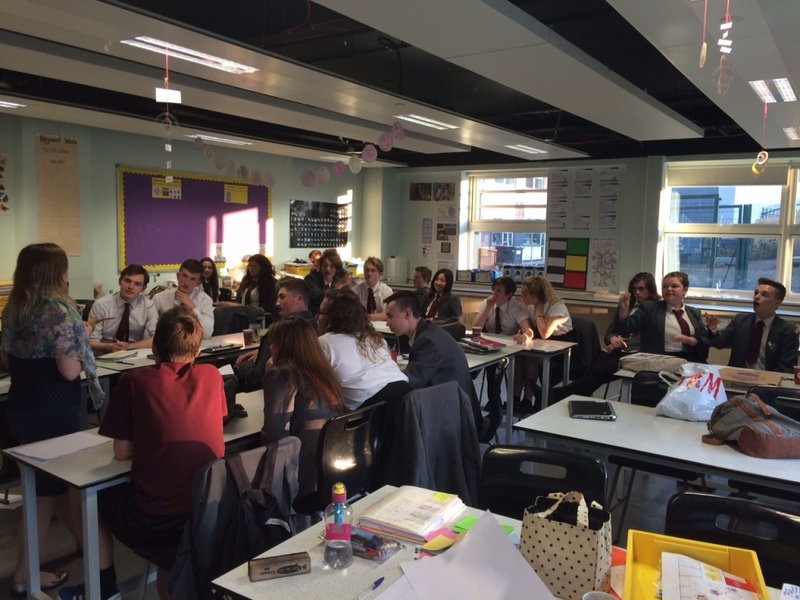 Last on the agenda was the now well established ‘Cakey Wednesday’ event in the Sixth Form common room. Dom and Paige had organised a quiz and cakes (supplied by the sixth form students) were on sale, proceeds going to the Sixth Form chosen charity,Torbay RNLI. The students were proud to show off their facilities (and general knowledge) and took the opportunity of Robin’s visit to make a few requests! 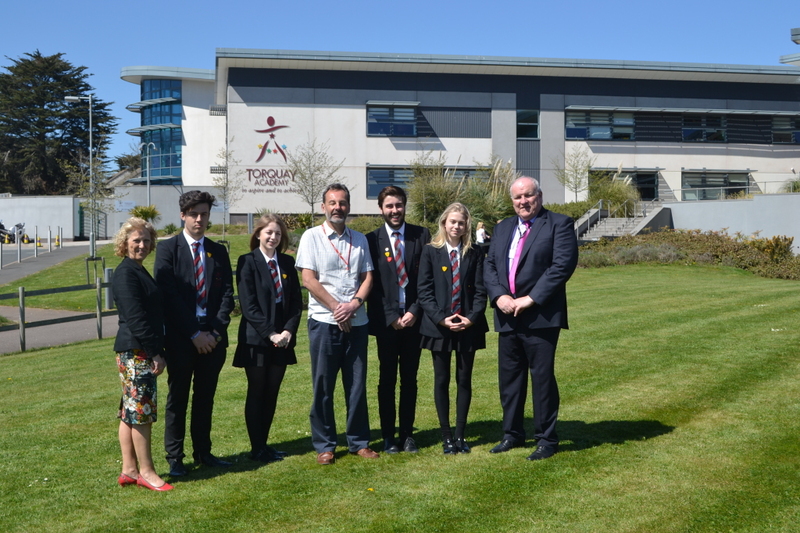 We look forward to developing our relationship with Robin and would like to thank him for joining us in the Sixth Form.